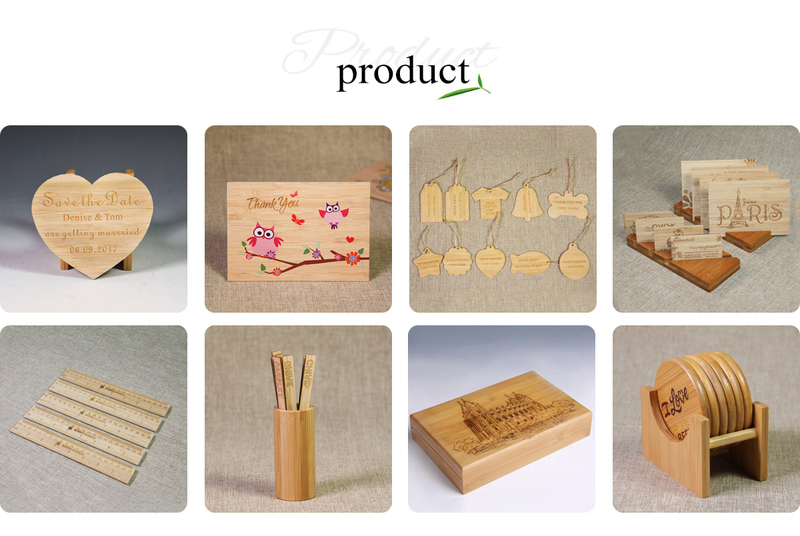 laser engrave & cutting ; CNC carving Zhuyixuan Artistic Carving Co., Ltd. is a professional manufacturer specializing in the production of bamboo handicraft and bamboo laser carve products, including: books, paints, pencil vases, couplets, root carvings, and calendar. Zhuyixuan has more than 10 years' history of production of art and craft products, having a very high-level artistic and operational capacity. We have more than 100 professional staff members. Our factory currently has all necessary machinery and equipment, sound management system, and first-grade technical force. 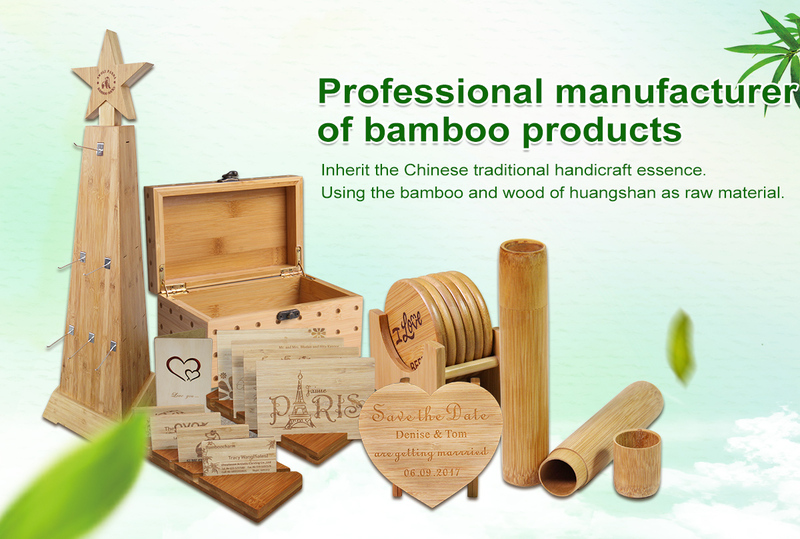 Among all various kinds of artistic products, Bamboo Wind Collection inherits and innovates constantly. 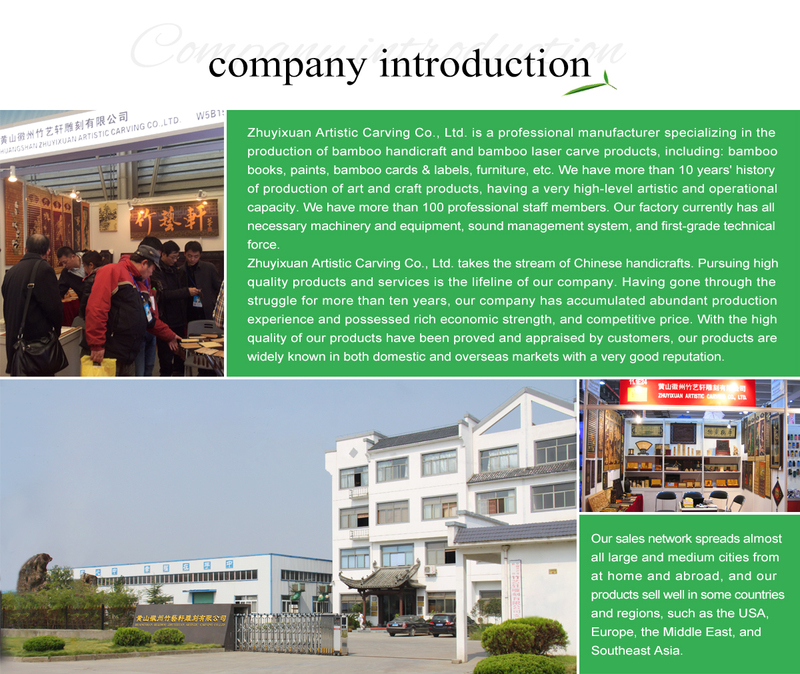 We take Huangshan characteristic bamboo as raw materials, and make full use of all kinds of knives. We have diversified products such as scrolls and anti-crack items. Besides, sophisticated skills are also used, such as polishing, carving on the draft, and finally impregnating varnish waxing. Our works are regarded as fantastic arts by our clients. Zhuyixuan Artistic Carving Co., Ltd. takes the stream of Chinese handicrafts. Pursuing high quality products and services is the lifeline of our company. Having gone through the struggle for more than ten years, our company has accumulated abundant production experience and possessed rich economic strength, and competitive price. With the high quality of our products have been proved and appraised by customers, our products are widely known in both domestic and overseas markets with a very good reputation. Our sales network spreads almost all large and medium cities from at home and abroad, and our products sell well in some countries and regions, such as the USA, Europe, the Middle East, and Southeast Asia.